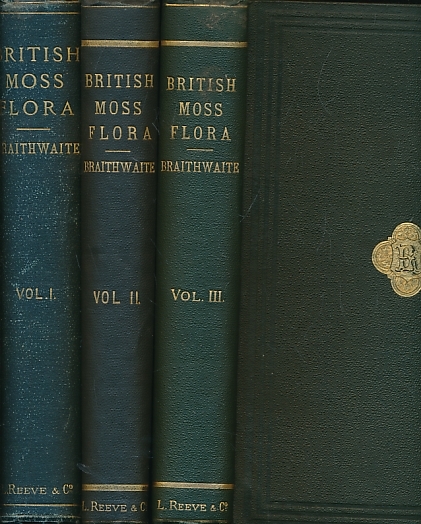 Barter Books : Braithwaite, R : The British Moss-Flora. 3 Volume set. London. : L Reeve & Co.
270 x 180 mm (11 x 7 inches) - xi, 287pp; 255pp; 274pp, + plates. G : in Good condition without dust jacket. Covers rubbed. Some browning. Details of a previous owner on fep. Volume I [published 1887]. Volume II published 1888-1895. Volume III, published 1896-1905 by the author.